Only a migraine sufferer can really understand the pain, disruption, and inconvenience migraine attacks can cause. You can manage your condition to an extent by identifying and avoiding triggers, using therapeutic eyewear, or taking medications. But every attack is a painful reminder that there is still a lot of work to do to eliminate the problem. This is why, as a migraine sufferer, you’re always looking out for additional tools that can bring relief. CBD oil may be one of those tools (you can read more here), but there are hundreds of them on the market, claiming to treat almost as many conditions. Which of them is the best CBD oil for migraines, and what should you look for? There are a lot of companies hopping on the CBD bandwagon. With so many brands on the market these days, your choices are mind boggling. They recommend different dosages. Some of them have added ingredients. And some might use questionable manufacturing standards. The sheer number of products out there makes it even more important to do your homework. Here are some things to consider before choosing a CBD product. Common CBD additives such as preservatives or flavors can actually trigger a migraine. Make sure your CBD oil is clean, without unnecessary ingredients that could cause a problem. Axon’s oil, for example, includes only CBD extract suspended in hemp oil. Nothing else. A lot of CBD brands include only small amounts of real CBD — as little as 3 mg. Since CBD has been proven safe even in high doses, why not get a stronger formula that offers more upside in terms of relief? 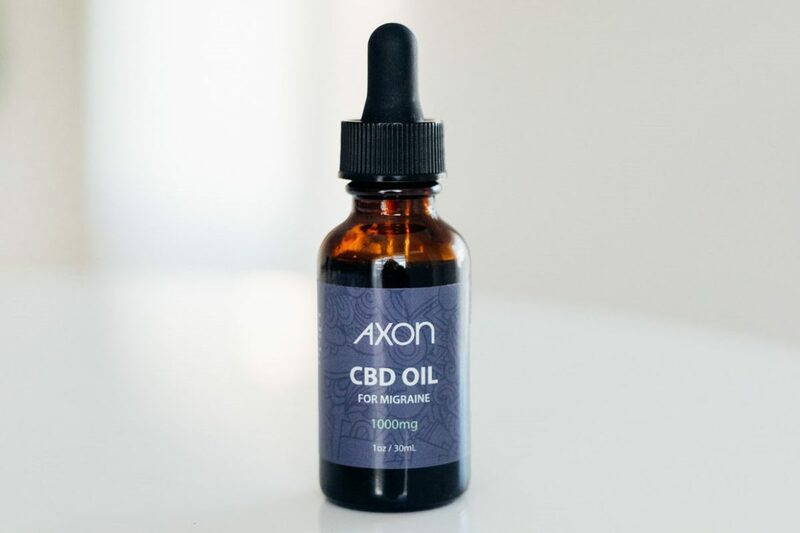 Axon’s CBD Oil offers 33 mg CBD per serving — making it 11 times stronger than many other brands. A lot of CBD supplements include “full spectrum” CBD, but what’s good for sunscreen isn’t great for your CBD oil. In this case, full spectrum means many different parts of the plant are included in the oil. However, as migraineurs know, you can’t always anticipate how those things might affect you and your condition. What’s more, that “spectrum” can change from batch to batch. So not only are you getting additional substances you know nothing about, but your next bottle might affect you differently than your last. This is why Axon uses only pure, isolated CBD extract. Your CBD will never include other cannabis substances, and you’ll always know what to expect. The best CBD oil for migraines should offer verified proof that their label is accurate and the product is pure. Mislabeling is actually a big problem in the CBD industry. In one study, 70% of the products tested claimed inaccurate amounts of CBD (either too much or too little). Even worse, 1 in 5 CBD products actually contained THC, when the label said there was none. Axon uses strict 3rd party testing so you know exactly what you’re getting. CBD products can be legally ordered online or purchased over the counter in nearly every US state. 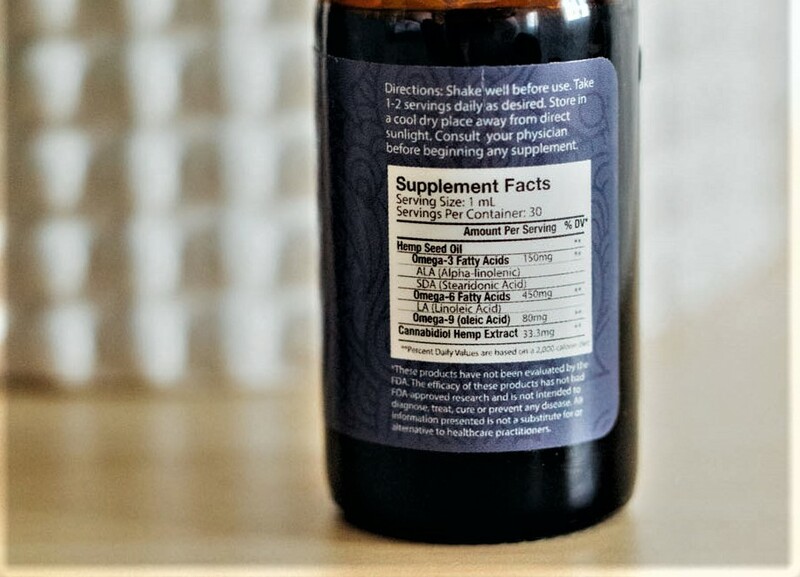 So you can rest pretty easily knowing your CBD product is legal, as long as it’s labeled correctly. THC is the illegal substance to watch for — one more reason Axon relies on 3rd party testing to ensure there is no THC. Since you’re looking for help with migraine, it makes sense to look for a CBD oil that’s formulated just for that. You wouldn’t go to a corner coffee shop looking for the best italian food, so why use just any brand of CBD oil for migraine relief? Look for CBD oil from a brand that knows migraine and understands what it takes to get relief. Since 2010, Axon has been in the business of helping migraineurs prevent and manage migraine. From therapeutic eyewear, to migraine prevention supplements and CBD oil, Axon was founded to help you get relief. Our CBD oil is formulated specifically for your condition, making it the best CBD oil for migraines.